In today's world in each and every aspect internet has undergone various technical transformation, taking this rapid growth into the mind we at web advisor create matrimonial portals, as everyone knows Matrimonial Website Design provide perfect match for the visitors. This is the for matrimonial agents to flourishing, they all know that they can make a profitable business within no time, it all happens because of the latest technical transformations. The agents even go to the extent of developing their own Matrimonial Portal through which they can earn in a great way. These portals even enable the visitors to register and they can become the member of the Matrimonial Portal, on the other hand non-registered members can access with limitations. Our talented web designer and web developers teams have the ability to develop Matrimonial Website Design In Coimbatore, Erode, Tirupur, Madurai, Chennai, with maximum user friendliness. These Matrimonial Website are considered to be user friendly, it enables the registered visitors to update their profile any time and even they can manage and edit their profile till they feel satisfied, there are several categories available for the visitors through which they can browse. We provide value added services such as sms alerts and email alerts to the customers. web advisor team holds Website Designers and providing catchy Web Design Services India Put your business online, get more sales and leads for business expansions. The main aim of this Matrimonial Website Design is to short list the profile which suits the customer's requirements from the available database. The administrating team of Matrimonial Portal in our company is very strong; the password setting created by the team makes the visitor to feel secured and safe. We have created numerous successful Matrimonial Websites, through these sites our customers are managing more than thousand profiles, in our Matrimonial Sites we have special automatic match finding feature, and through this feature finding the match becomes very easy. The visitors can even communicate with each other in a much secured way by using the communication system which is available in our website. In web advisor our talented designers are capable of designing attractive as well as unique Matrimonial Website Design all the profile details will be registered by our detailed user registration service, the visitor can search match according to their interests based on community, through this our match making service becomes very simple and at the same time effective. The profile searching criteria will be based on the details like religion, location, age or community. We have the best management administration for managing every single detail of the site; our existing customers are feeling very happy because of the great returns of their investment. 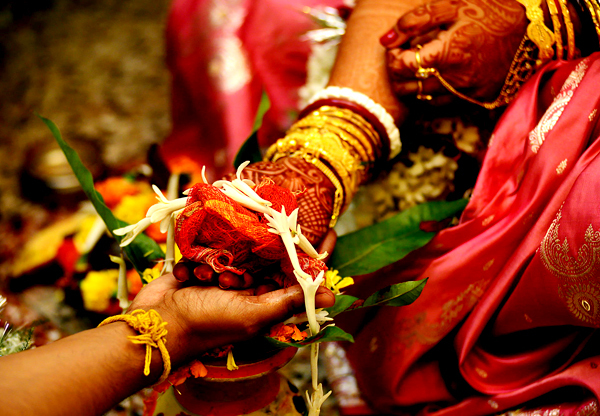 Our matrimony software is loaded with the best features to manage thousands of members and their details, due to this high technical advancement in our website which we design, the existing matrimony consultants are taking their business to the higher level, even the new clients are approaching us since this field is getting boosted up because of the advancement in our software. Our in-build messaging system enables the registered members to post messages to the other registered members regarding their needs and wants, through this messaging system even the members can come out with their interests, at the same time there is a facility through which a registered member can block the other register member if he is not interested in the messages. Thus any visitor can access his account on behalf of his own interests.